Our Wine Oak Barrels are handmade according to traditional methods. We finish our wooden barrels with choice of galvanised steel hoops or steel hoops painted black and complete them with wooden stand and a bung, as well as professional half-turn brass tap. Every oak barrel in our shop is water tight. For all our barrels we use only traditional methods of toasting to medium level over an open fire. When pliable, we bend the staves into desired shape and hold them together with hoops. You can use our Wine Oak Barrels for both decorative and practical purpose. They are great for aging whiskey and wine. Our wine oak barrels are toasted inside to medium level to add extra flavour to your liquors. 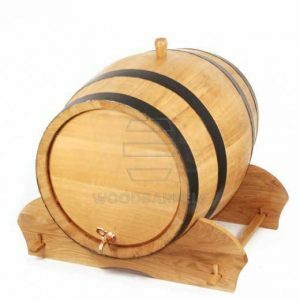 Wooden barrels are a fashionable way of serving drinks at a party, or your home made wine. They can also make a fantastic gift for all wine and whisky lovers out there. The smallest in our range of oak barrels. 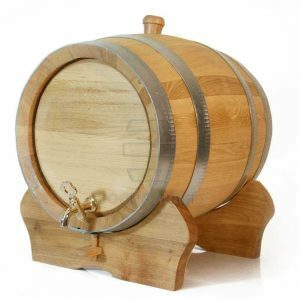 Small Oak Barrel 3L is a great way of storing your home made wine or aging whiskey. It is toasted inside to medium level to add extra flavour to your liquors. One of the smallest in our range of oak barrels. 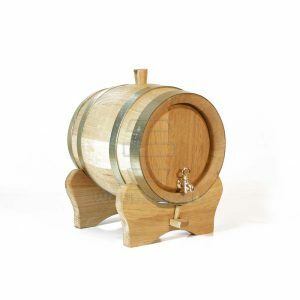 Small Oak Barrel 5L is a great way of storing your home made wine or aging whiskey. It is toasted inside to medium level to add extra flavour to your liquors. 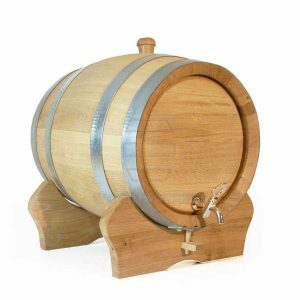 Handmade according to traditional methods 15 litres Oak Barrel. Finished with choice of four galvanised steel hoops or steel hoops painted black and is complete with a wooden stand and bung, as well as professional half-turn brass tap. 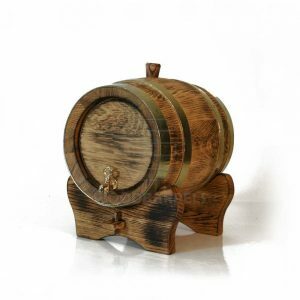 Small barrels can be used for both decorative and practical purpose as a fashionable way of serving drinks at a party, or as an original gift. Every oak barrel in our shop is water tight. For all our barrels we use only traditional method of toasting to medium level over an open fire, and when pliable staves are bent into desired shape and held together with hoops. 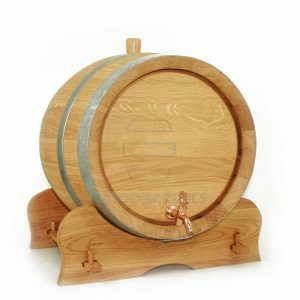 Handmade according to traditional methods 20 litres Oak Barrel. Finished with choice of four galvanised steel hoops or steel hoops painted black and is complete with a wooden stand and bung, as well as professional half-turn brass tap. 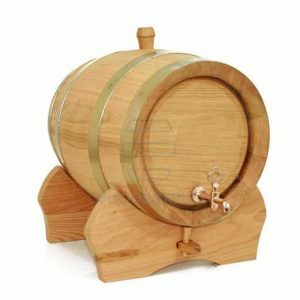 Small barrels can be used for both decorative and practical purpose as a fashionable way of serving drinks at a party, or as an original gift. Every oak barrel in our shop is water tight. For all our barrels we use only traditional method of toasting to medium level over an open fire, and when pliable staves are bent into desired shape and held together with hoops. 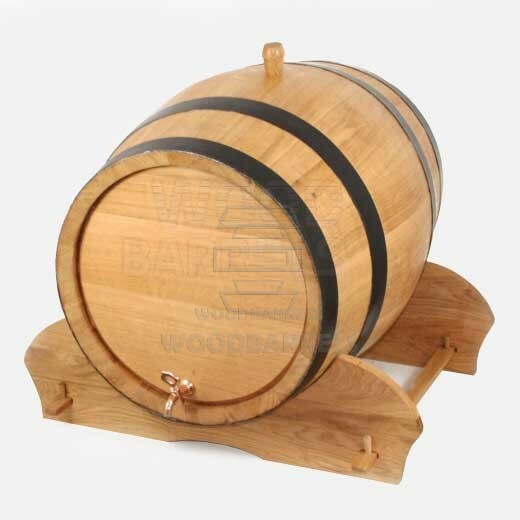 Handmade according to traditional methods 30 litres Oak Barrel. Finished with choice of four galvanised steel hoops or steel hoops painted black and is complete with a wooden stand and bung, as well as professional half-turn brass tap. 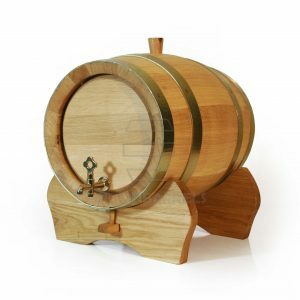 Small barrels can be used for both decorative and practical purpose as a fashionable way of serving drinks at a party, or as an original gift. Every oak barrel in our shop is water tight. For all our barrels we use only traditional method of toasting to medium level over an open fire, and when pliable staves are bent into desired shape and held together with hoops. Handmade according to traditional methods 50 litres Oak Barrel. Finished with choice of four hoops painted black or galvanised steel and is complete with a wooden stand and bung, as well as professional half-turn brass tap. 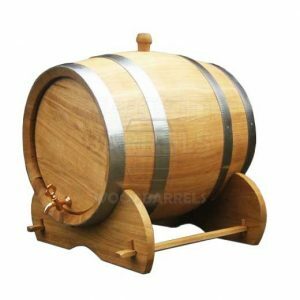 Large barrels can be used for both decorative and practical purpose as a fashionable way of serving and storing wine or whisky. Every oak barrel in our shop is water tight. For all our barrels we use only traditional method of toasting to medium level over an open fire, and when pliable staves are bent into desired shape and held together with hoops. Handmade according to traditional methods 100 litres Oak Barrel. Finished with choice of four galvanised steel hoops or steel hoops painted black and is complete with a wooden bung, as well as professional half-turn brass tap. 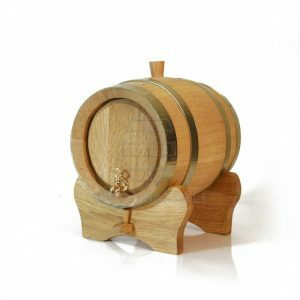 Small barrels can be used for both decorative and practical purpose as a fashionable way of serving drinks at a party, or as an original gift. Every oak barrel in our shop is water tight. For all our barrels we use only traditional method of toasting to medium level over an open fire, and when pliable staves are bent into desired shape and held together with hoops. 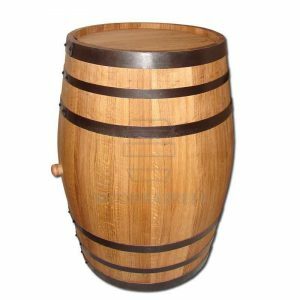 Handmade according to traditional methods Oak 225 Litres Wine Barrel. Finished with choice of six galvanised steel hoops or steel hoops painted black and is complete with a wooden bung, as well as professional half-turn brass tap. 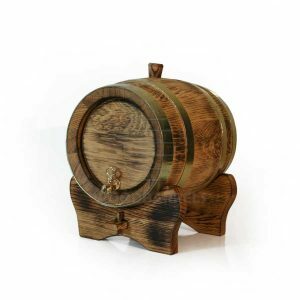 Small barrels can be used for both decorative and practical purpose as a fashionable way of serving drinks at a party, or as an original gift. Every oak barrel in our shop is water tight. For all our barrels we use only traditional method of toasting to medium level over an open fire, and when pliable staves are bent into desired shape and held together with hoops.